We Malaysian love shopping, especially online shopping as it is convenient and great shopping experiene. Calling all shoppers, mark your calendar this 11 November as Alibaba Group kicks off the promotion of its 24-hour global shopping festival in Malaysia this year, a key oversea market for the global e-commerce giant. Apart from offering over 15 million products across a wide range of categories from 140,000 brands for this year’s 11.11 Global Shopping Festival, it is also set to draw attention of the world with a showcase of “new retail” experiences. 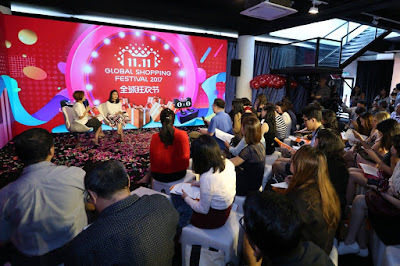 If you don't know yet, the 11.11 Global Shopping Festival was introduced with the aim of catering to the rising popularity of online shopping, which has grown to become the ‘Festival of all Festivals’ – the most anticipated shopping festival globally. 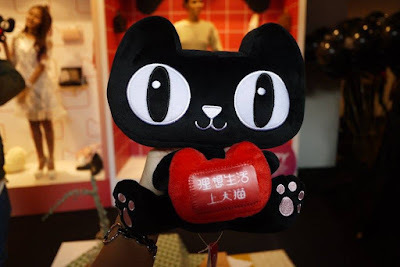 Malaysians will be spoilt for choice this year with wide range of products from fashion and accessories, to home and living items and more that will be made available on the flagship Tmall and Taobao marketplaces. The shopping festival will run from 00:00 midnight on 11 November for 24 hours. Enjoy RMB50 (≈RM33) off on already low-priced sea freight services with a minimum spend of RMB299 (≈RM200) on Taobao. 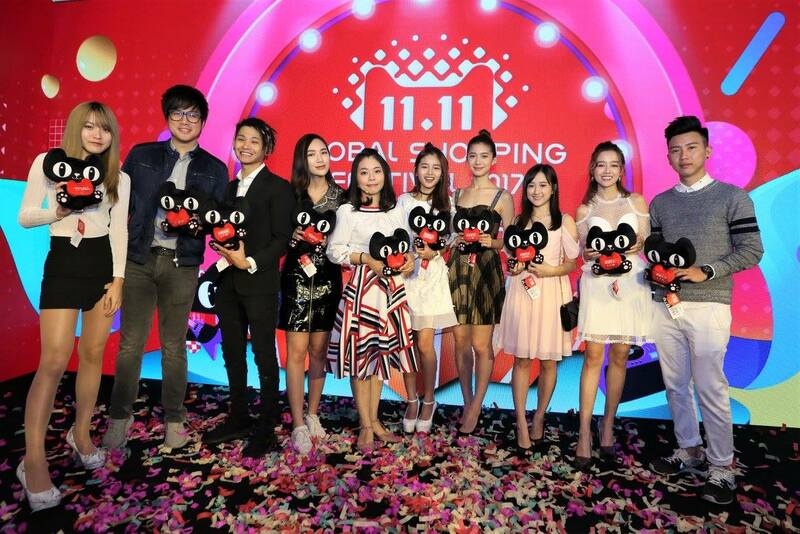 The 11.11 Global Shopping Festival started off as ‘Single’s Day’ by Alibaba in 2009. Today, it has evolved to become the “Festival of all Festivals” – the world’s biggest shopping sales event. Each customer will have their special way of celebration and this event aims to spread happiness in a festive ambience, encouraging customers to share the joy it brings with their friends, families and loved ones. This year’s Festival will also be the first time that the world will witness how Alibaba aims to transform traditional retail through technology and consumer insights in all aspects of the Festival. For example, in China, consumers can visit pop-up cosmetics stores to experience an augmented reality (AR) lipstick trial. Selected partnering stores will feature facial recognition payment and scan-and-deliver Online to Offline (O2O) shopping. How cool is that, we wish Alibaba could bring in this experience to Malaysia too. The Malaysian launch yesterday saw radio announcer and YouTuber, Jinnyboy, social fashion icon and influencer, Jane Chuck as well as Miss Astro Chinese International Pageant 2016 & Miss Chinese International 2017’s 1st Runner Up, Serene Lim, in attendance who shared their excitement for the upcoming festivities. They were joined by other distinguished Malaysian social media figures and members of the media at the launch event held at Le Blanc, Bangsar. It was a fun and interactive launch event where all participants have enjoyed themselves a lot. Alibaba's 11.11 Global Shopping Festival 2017 in Malaysia is surely a shop till you drop carnival to all of us. 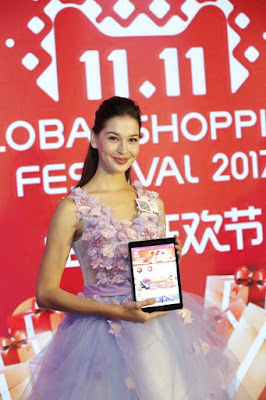 Now, I can't wait to list down my buying list for the 11.11 Global Shopping Festival. So, don’t forget to mark your calendars this 11.11, share this significant date with your loved ones, family and friends to spread the happiness and shop to your hearts content! To participate in the 11.11 Global Shopping Festival, kindly visit https://world.taobao.com or Mobile Taobao app. Gaji is still so far away and all this 11.11 sales are calling me out! Tak sabar nak tunggu 11.11 nak shopping banyak-banyak. Banyak sale dan diskaun. Yeahh. Kena save the date on 11.11 ni. Sana sini online shop buat sale. I can't wait to shop on 11.11. Crazy sale going to happen. I can't wait to shop on 11.11, going to standby at 12 midnight hehehe. 11.11 ni banyak lah nanti nak kena belanja untuk shopping, takutnya,,huhuhu. Shop till you drop. Wahhhh..kena pangkah kalendar siap-siap. OMG, I'm dead! This coming 11-11 is the end of the me and my savings. ahaha.